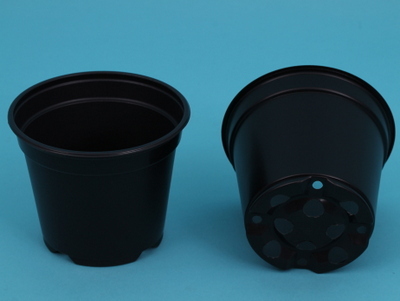 Thermoform pots and containers; flexible, lightweight and economical. Colour standard : black (B) and terra cotta (TC) - > through 2 layer process with black inside optimum light-tightness suppliable. Printing : on request the pots can be printed with for example a barcode and/or care tips and/or company logo.